Kirkcaldie & Stains in Wellington, the oldest in New Zealand, will close next year. 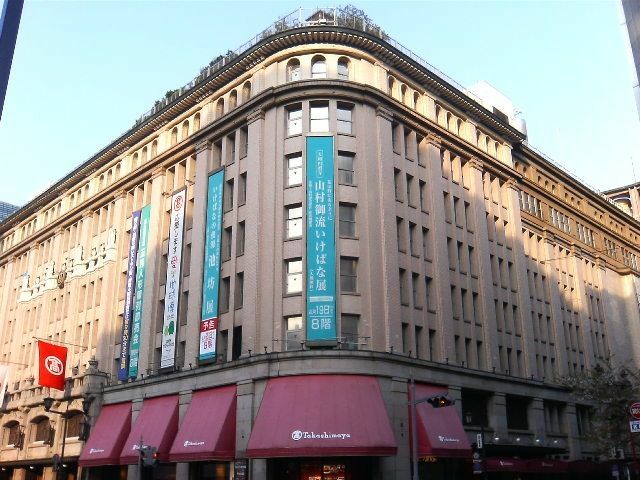 In Japan too, a lot of department stores have been struggling. But for me, spending at least a day in one of them is a must every time I visit Japan. They are full of interesting things both for locals and tourists. A department store in Japan is a huge building with a lot of floors. 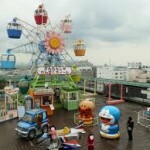 Often underground floors are dedicated to food, and top floors have art galleries and on the roof even a garden and playground. Department stores are a destination for a family with kids, together with extensive toy sections. Sometimes the roof is designated as ‘beer garden’, where you enjoy drinking with your co-workers with a night view. The floor I like to frequent has arts and crafts. 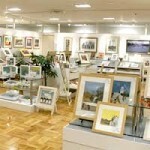 They regularly host an art exhibition of both local and international artists. You can admire art pieces with no entry fee. Of course you can buy one if you want to. They always have floors to sell Japanese porcelain, traditional paintings and kimonos. I make it a rule to buy wedding presents there, because they are good quality, affordable and of course, different. “Depa-chika” is the term we coined with depa( rtment store) and the underground floor. 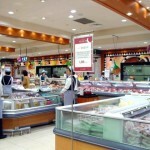 It has almost all food shops well known in Japan with all food imaginable. Delicatessens offer you both Japanese and international delicacies. There are eateries and cafes too. Good quality lunch boxes are heavily discounted just before the closing time, when commuters can grab one for their dinner. Of course there are lots and lots of clothes on one floor after another. Expensive, designer’s brands. But frequently they have sales, and you can find reasonably priced clothes, bags and shoes. Even when you don’t, just browsing is an experience. The variety and the sheer numbers of items will blow your mind.